DJI, the king of Drone Industries has launched yet another smallest drone, DJI Spark. DJI Spark is an easy-to-use, fun-to-fly mini camera drone that lifts off from the palm of your hand. 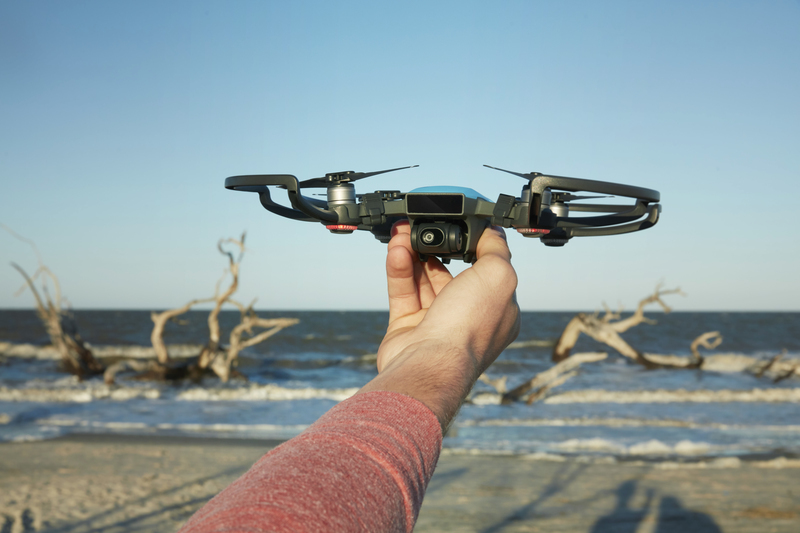 DJI Spark uses your hand to take off and as soon as it goes in the air, it enters into Gesture Mode. The gesture controls allow user to control the Spark with hand movements. With hand movement, you can send Spark up and away from you, take a selfie, and call it back with just your hands. DJI Spark can easily fit into the bag or your jacket pocket. It weighs just 300 grams. 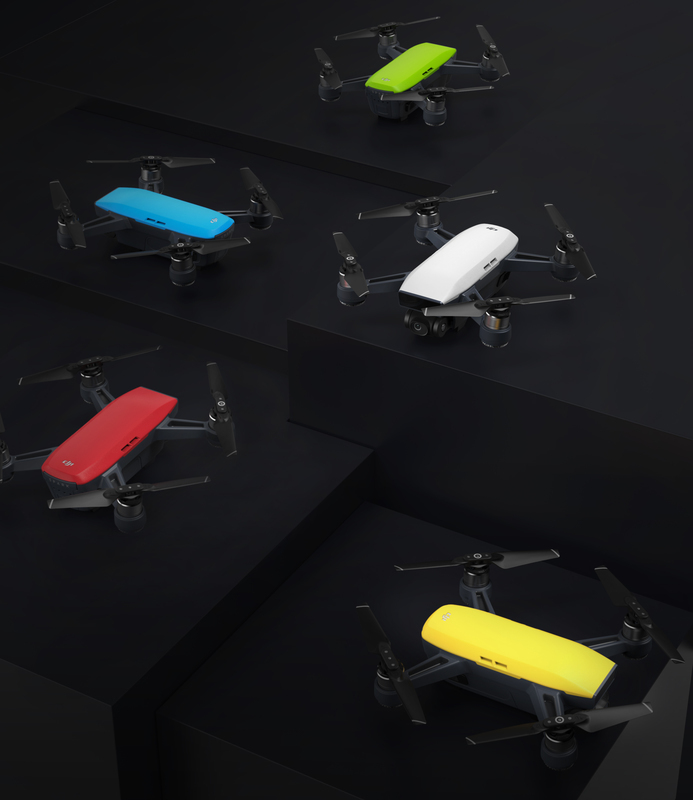 Spark will be available in five different colors: Alpine White, Sky Blue, Meadow Green, Lava Red, and Sunrise Yellow. Regarding the flight control, the Spark comes with new QuickShot Intelligent Flight Mode, select this mode and Spark will fly along a preset flight path while recording a short video and tracking a subject along the way. Currently, four QuickShots are available: Rocket, sending Spark straight up into the air with the camera pointed down; Dronie, flying up and away from your subject; Circle, rotating around the subject; and Helix, spiraling away from a subject as it flies upward. The Spark also comes with TapFly support. TapFly’s Direction Mode lets you keep flying in the direction you tap on the screen. Using ActiveTrack, Spark will automatically recognize and track an object you choose, keeping it at the center of the frame for perfect shots. It uses 3D Sensing System which also senses obstacles in front of the aircraft. DJI Sparks has a 12MP camera with 1/2.3” CMOS sensor and capable of shooting Full HD 1080p Video. It comes with 2-axis mechanical gimbal for smooth videos. It also comes with forward-facing 3D sensing system, dual-band GPS and GLONASS, inertial measurement unit and 24 computing cores. The Spark can hover in the air up to 30 meters and sense obstacles from 16feet away. It also comes with an auto home return. The DJI Spark cost $499 which includes aircraft, a battery, USB charger and three pairs of propellers.